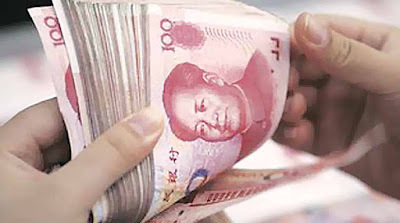 The central bank officials on, a few days ago, held a town hall meeting with businesses in Lagos to introduce the yuan for imports from China ahead of plans to start auctioning the Asian currency later this month. The dollar is Nigeria’s main trade currency. The country suffered severe dollar shortages after the price of crude oil, its top export and main source of forex, plunged in late 2014, prompting it to introduce capital controls in 2015. “The central bank will encourage users importing goods from China to use the yuan and not the dollar,” officials said. “Dollar demand burden arising from trades with China would be lifted from our forex reserves,” they said, adding that initial yuan trades could be small. According to the official, the deal is aimed at reducing reliance on the dollar, and, as such, reduce the pressure on the naira-dollar exchange rate. Under the swap arrangement, the CBN would hold N720bn in an account in favour of the PBOC while the Chinese central bank would hold 15 billion yuan, implying an exchange rate of N48 to the yuan. Nigeria has been trying several options to curb pressure on the naira. But some of its plans may require time to materialise as it needs to develop its economy in order to cut imports. It currently runs a large trade deficit with China, its biggest trading partner. Nigeria imported goods worth almost $2bn per annum from China last year as against almost $500m imported by the Chinese, figures showed.